The List of Omega 3 Benefits Just Keeps Growing! Research just keeps discovering more omega 3 benefits all the time. In fact, clinical studies already show beneficial effects for everything from brain function to heart health. Omega 3’s are essential to your health, from childhood to senior years, yet most of us just don’t get enough of them. So What Is Omega 3 & Where Does It Come From? 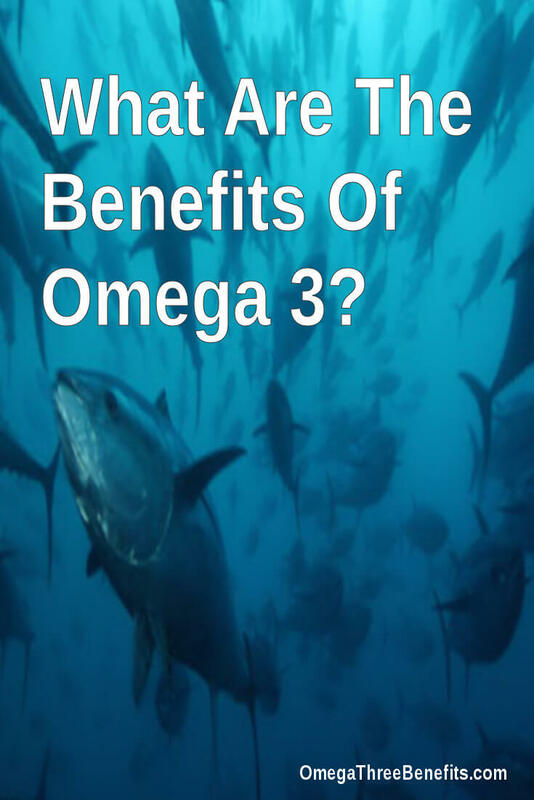 Omega 3 is an Essential Fatty Acid, or EFA. They are named ‘Essential’ for good reason – they are vital to the proper functioning of your body. They play a key role in our brain function (the brain is made up of 60%+ fats) as well as in our bodies general development. But the body cannot produce them itself. The only way you can get them is through food. The right kind of food. Omega 3’s originally became well known due to research around protecting our hearts from heart disease. The American Heart Association now recommends that we eat fatty fish such as mackerel or salmon twice a week (at least) specifically because of the levels of Omega 3 in those fish. But Omega 3 fats are found in everything from fish and krill to algae, dark green leafy vegetables, dairy, eggs, nuts and seeds. The problem is that the kind of Omega 3 you get from fish is very different to the kind you get from vegetables. Fish oils have a major advantage over those from plants, as fish oils also provide ‘long chain’ omega 3 fatty acids like ‘EPA’ (eicosapentaenoic acid to use it’s painfully long scientific name) and ‘DHA’ (or docosahexaenoic acid). And it’s these two long chain Omega 3’s, DHA and EPA, that are linked to the majority of the health benefits that studies have revealed. No plant source has yet been discovered that provides any significant DHA content. Although certain groups are working at creating genetically modified plants that do! Plant sources can however provide plenty of ‘ALA’ (alpha-linoleic acid). And ALA can in part be converted by our bodies into EPA and DHA. Unfortunately this conversion of ALA to DHA/EPA process is very inefficient – it also varies by age and gender . It can be as little as 1%. Which means even if you get a lot of ALA in your diet you may be getting very little EPA and DHA. Unless you are eating enough fish/seafood or taking a supplement. Don’t neglect ALA though, it is of course best to get enough of all types of Omega 3. So it’s really not at all easy to eat enough of the right kinds of food to really get the benefits of omega 3. Particularly with our modern busy lifestyles, and eating habits. Do you eat the right kind of fish at least two times a week, every single week?! Which is exactly why modern omega oil supplements have proven such a bonus. Although you need to choose carefully because the quality and content of omega oils varies dramatically. Read my guide to choosing the best brand here. The three main types of Omega 3 are ALA, EPA and DHA. EPA and DHA only comes from marine/fish sources. ALA comes from plant sources. All 3 are important, but EPA and DHA are linked to the most benefits. How Much Omega 3 Do We Need Per Day? There is still no official omega 3 RDA (‘recommended daily amount’). Although bear in mind that RDA’s tend to be based on the minimum to avoid ill health anyway, rather than the amount required to benefit from optimal health. There are however guidelines from highly respected sources which advise between 250-500 mg of EPA and DHA in total per day . Just be very clear that 500 mg of fish oil, omega oil, seed oil (or whatever else it says on the front of a supplement bottle!) does NOT mean it contains that much EPA or DHA. You often need to look more closely for the real figures. Omega 3 is fast becoming one of the most researched nutrients, with a sudden interest and dramatic increase in studies since the 1980’s. But we’ve actually known about it, and how essential it is to the human body since 1930. To put things bluntly, not getting enough Omega 3 can result in a greater risk of death from all sorts of causes . There’s also that question of what is ‘enough’ to merely limit those specific risks, versus how much is beneficial to potentially enhance or maximise health. But here’s some more information about some of the conditions and areas of the body that have been shown to be directly affected by omega 3. This is where the renewed interest in omega 3’s started. Things have become slightly less clear, but right now the American Heart Association states that omega 3 does benefit the hearts of healthy people. And those who already have cardiovascular disease or are a known high risk too. They also say it decreases arrhythmia (which can be a cause of sudden deaths), decreases triglycerides, arterial plaque build up and reduces blood pressure. That’s quite a significant collection. Things got very confusing when it comes to cholesterol however. For years we’ve been told how eating foods high in cholesterol led to a higher cholesterol level in our blood. It now turns out that’s simply not true. We’re also told all about good and bad cholesterol when there’s really no such thing – cholesterol is just cholesterol. It does serve a valuable purpose in the body, to build cells amongst other things. But for a better explanation read more in does fish oil lower cholesterol. DHA is found in significant quantities in our brains – it’s also taken up more readily by the brain than EPA or ALA. This could explain the significant benefits research has shown for omega 3 with anxiety and depression. Not surprisingly, omega 3 is really important in the development of babies and children. Clearly babies do a lot of growing right through to adulthood, so they need plenty of everything! We know DHA is important for the brain in particular so it’s not surprising you don’t want a shortfall of DHA when the brain is in it’s most rapid growth years. There have also been some interesting studies around omega 3 and ADHD, as well as asthma prevention . You can read more about the benefits of fish oil for kids here. Is Good Food Enough Anymore? The world has changed dramatically as far as food production goes. Fresh fish is simply not what it used to be. Our seas have become polluted. Heavy metals such as mercury have already become a major concern in fish stocks. Cod has been over fished for years and stocks are in a serious state (they also swim in polluted waters). Similarly for shark and atlantic halibut. And that ‘fresh fish’ we buy may actually have been intensively farmed. Not that you can tell from the label! Densely packing up to 50,000 fish into underwater cages is about profit, not creating the most nutritious food. It requires hormones and antibiotic drugs just to keep the fish alive long enough to harvest. Hardly ideal. Canned fish has also come under criticism recently. Whilst fresh tuna can be high in essential fatty acids, most canned tuna is not. For tuna at least, the canning process does not seem to preserve the EFA’s at all well. It’s a similar story for all mass produced food. For too long the focus has been on cheap prices and profit instead of quality and nutrition. Farmers choose varieties to grow based on maximum yields – so it’s all about what will produce the biggest harvest with the least lost to disease or pests. Varieties that can be handled and will survive long distance travel. Flavor comes further down the list, and nutrition levels aren’t even on the list. There is some hope in the significant growth of proper organic farming. And in the recognition and better selection of heritage seed varieties. Not to mention people growing their own food too. All of which can help put better quality nutrient dense foods on our tables. So yes, you can certainly get everything you nutritionally need to be fit and healthy from food alone. It’s just very difficult to do so. Particularly when even the best health and nutrition advice from governments turns out to be wrong. We’ve been taught how bad fats are for us for many years, and how important a low fat diet was. Yet obesity and the resultant health problems (heart disease, stroke, diabetes etc) grew even faster. Turns out the fats were good all along, in moderation, and sugar is the real problem. Even when the information is right, ensuring our families get all the nutrition they need every day is hard work. But it’s rare that anything highly important and worthwhile is easy to do. In my opinion most nutritional supplements are simply a waste of money, unless you have a specific problem you are attempting to resolve. The only two supplements I think are important enough for everyone to consider, are a good multi-vitamin and omega 3. That’s it. A daily multi-vitamin I simply think of as like an ‘insurance policy’. I take one a day and therefore know I’m not going to miss out on any of the basics. The same goes for omega 3 – it’s as important as not getting enough iron, calcium or vitamin B. I take it every day, or sometimes skip it if I know I’ve got plenty from that days food. Then I simply eat plenty of good food, and don’t eat junk. Don’t get me wrong – I love cakes, chocolate and cookies as much as the next person. But I don’t eat them every day, and I don’t overindulge in them. Importantly when I do choose to indulge I go for quality (don’t underestimate the fun of going to a good restaurant just for dessert! ), or I make them myself from scratch so I know exactly what’s in them. 1. Freemantle, Erika, et al. “Omega-3 fatty acids, energy substrates, and brain function during aging.” Prostaglandins, leukotrienes and essential fatty acids 75.3 (2006): 213-220. 2. Lindberg, Morten, et al. “Long-chain n− 3 fatty acids and mortality in elderly patients.” The American journal of clinical nutrition 88.3 (2008): 722-729. 3. Morris, Martha Clare, et al. “Fish consumption and cognitive decline with age in a large community study.” Archives of neurology 62.12 (2005): 1849-1853. 4. Mohajeri, M. Hasan, Barbara Troesch, and Peter Weber. “Inadequate supply of vitamins and DHA in the elderly: Implications for brain aging and Alzheimer-type dementia.” Nutrition 31.2 (2015): 261-275. 5. Conklin, Sarah M., et al. “Long-chain omega-3 fatty acid intake is associated positively with corticolimbic gray matter volume in healthy adults.” Neuroscience letters 421.3 (2007): 209-212. 6. Yang, Huan, Pengcheng Xun, and Ka He. “Fish and fish oil intake in relation to risk of asthma: a systematic review and meta-analysis.” PloS one 8.11 (2013): e80048. 7. European Food Safety Authority (EFSA. “Scientific Opinion on the Tolerable Upper Intake Level of eicosapentaenoic acid (EPA), docosahexaenoic acid (DHA) and docosapentaenoic acid (DPA).” EFSA Journal 10(7):2815 (2012). 8. DeSalvo, Karen B., Richard Olson, and Kellie O. Casavale. “Dietary guidelines for Americans.” Jama 315.5 (2016): 457-458.